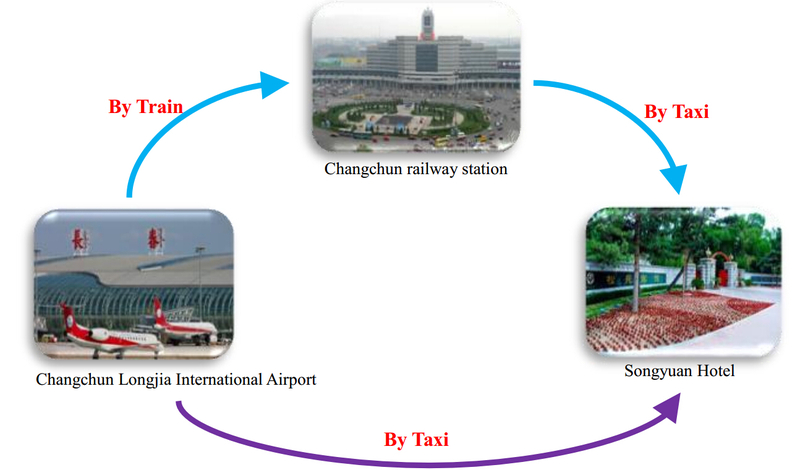 From " Changchun Longjia International Airport " to " Songyuan Hotel "
Bus: take bus No.221 at Changchun station and get off at children’s hospital bus station. Songyuan hotel is very close to this stop. Total fare 1 RMB. 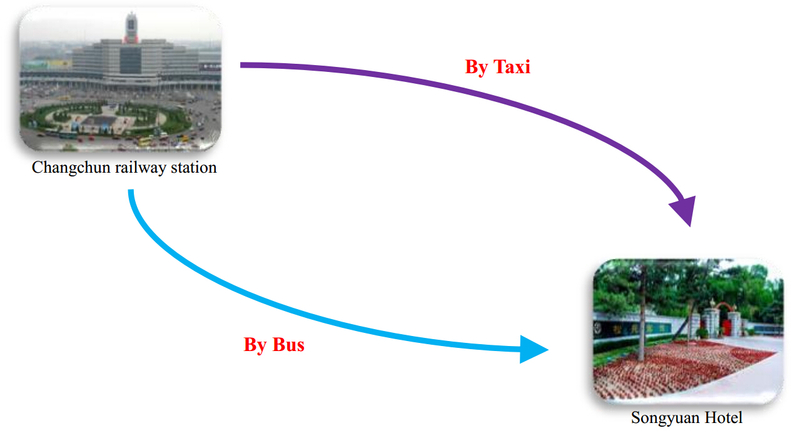 Bus: take bus No.314 at Changchun west station and get off at kangping street bus station. 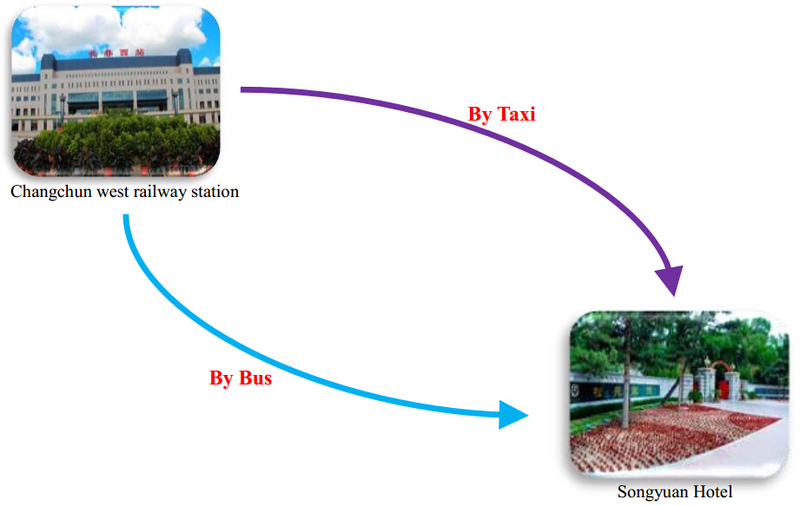 Songyuan hotel is very close to this stop. Total fare 1 RMB.